Wingsuit World Champion Espen Fadnes and Project Managers Goovinn team up again for “SPLIT OF A SECOND” after last year’s film “SENSE OF FLYING”, this time for an up close, personal look at Espen’s thoughts and motives behind flying and some never-before-seen footage of human flight. This is simply amazing….Words do not do this justice. 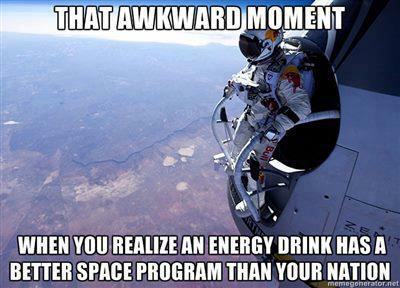 Thank you Felix for being an absolute baller with nerves of steel, and thank you Red Bull for giving him this opportunity. This is the full length version in HD. And now something a little humorous and sad….